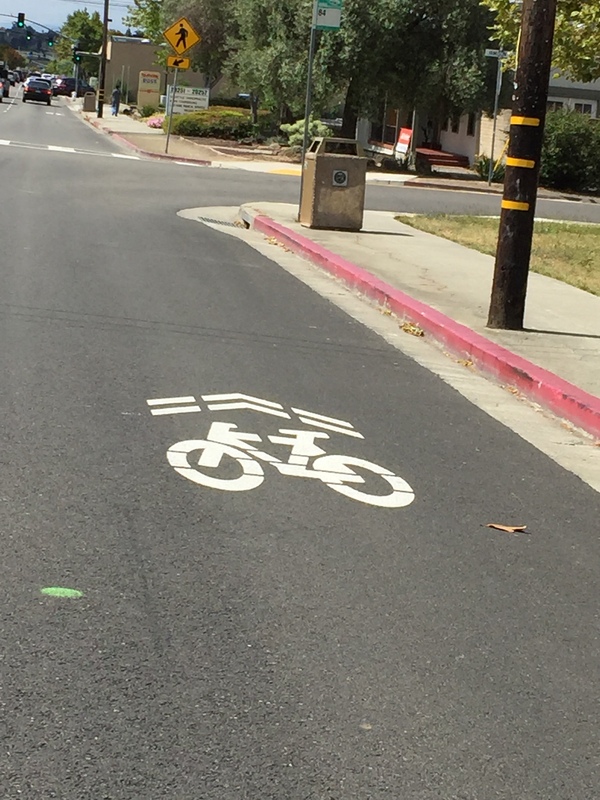 New sharrow marking on Redwood Road in Castro Valley. Sharrows increase the awareness of drivers to people riding bicycles on the road, which results in a safer ride for everyone. We hope to see more sharrows around Castro Valley soon, on the roads designated as bike routes in the Alameda County Bicycle and Pedestrian Master Plan [see Chapter 3]. The streets designated as Class III bike routes should have sharrow markings painted on them.